The Chair is encouraged by the Depuración de Aguas del Mediterráneo (Water Treatment of the Mediterranean) and the Universitat de València. This Chair is created with the aim to develop and promote the integral management and the resource recovery of wastewater. The purpose of this Chair is to promote the training, cultural, research and extent university activities focused on the knowledge and dissemination of the sustainable management and the resource recovery of wastewater. One of the most important Chair’s challenges lies in achieving, both in the industrial sector and in society in general, wastewater was not conceived as a single waste as a source of resources (water, energy and fertilizers, among others) of enormous economic and environmental value. Würth Elektronik eiSos and the Universitat de València collaborate in the creation of an Institutional Chair dedicated to Electromagnetic Compatibility (EMC) in Redes Elécticas Inteligentes. - Generating advance research, which permits the adequate evolution and integration of the academic and business world through the Recruitment of Personnel. - Supporting Final Master’s degree Dissertations in the field of the activity covered by the Chair. - Carrying out researches sponsored by the Chair in a Laboratory of the School of Engineering of the University, including material of Würth Elektronik eiSos for such research. - Developing a practical training policy for the university students through internships in the company. The Chair contemplates the generation of an advance research that permits the appropriate integration of the academic and business world, and promote the launching of Master's degrees in the field of the activity covered by the Chair. It also foresees the development of a practical training policy for the university students through informative sessions, innovation laboratories and internships at Capgemini. Joaquín Martín Cubas (Facultat de Dret). Agreement in order to develop joint projects in the field of research, development and innovation as in the field of the training of specialists through scholarships, practices and use of technical material and also in the development of the professional career. 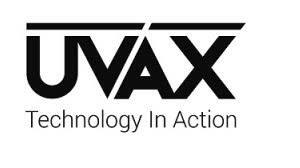 Framework agreement for collaboration between the Universitat de València and UVAX Concepts S.L. The purpose of this Agreement is to regullate the collaboration between the Universitat de València and Uvax in order to develop joint projects both in the field of research, development and innovation as well as in the field of training of specialists through scholarships, practices and use of technical material and also in the development of the professional career. Partnership initiative between the Universitat de València and the IBM for the development of activities in teaching and researching areas and the employability of students of the university. It stands out the specific framework of collaboration for the training in quantic computing in order to carry out studies and researching works related to quantic technologies of the IBM. The Universitat de València and Marvell Hispania S.L. create a framework agreement for collaboration in order to strengthen all the activities that contribute to the develop, disseminate and apply semiconductor, microprocessor and digital signal processing technologies. Both entities seek to express their collaboration relationships being some of their major objectives: the development of research projects, development and innovation, join training of students and young graduates, recruitment and development of the professional career of engineers specialised in these fields. ISACA-CV and the Universitat de València signed on 30 September 2009 a framework agreement for collaboration for the common execution of dissemination, training and research activities. This agreement includes the collaboration in the writing of technical articles and/or research articles, the participation in join projects and the dissemination of the activities of interest carried out by ISACA-CV as well as by the Universitat de València. Vigartel Telecomunicaciones and the Department of Computer Science of the Universitat de València Estudi General (UVEG) have signed an academic and technical cooperation agreement in the field of security and high availability of Linux systems. This agreement is developed in the programming and configuration of the VozBox distribution, based on Debian and Asterisk, which undertakes functions of server and virtual telephone IP switchboard. The main page of the project is www.vozbox.es and in it all the relevant information is available. The agreement allows mobility between both centres by means of researching stays of doctoral students and academic staff. The duration of the interchanges can be of a semester or a whole academic year, throughout which they can deep on the study of topics such as: medical imaging processing, robotic systems controlling, Bayesian networks for decision support, cooperative and semantic web technologies, cognitive modelling and learning in multi-agent systems. The cooperation between both parties allows the practical training of the students if the School of Engineering (ETSE) of the UV, the tracking by the UV teaching body of the technological innovations in the fields in which SCHEINDER ELECTRIC develops a relevant role at international level and the development of different activities in the SCHNEIDER ELECTRIC TRAINING ROOM such as talks or technical visits, creation of technical documentation, learning guides, among others. Annually, SCHNEIDER ELECTRIC makes an updating of materials for the training room (software and hardware) and gives a prize to the best final degree dissertation undertaken with technologies of this manufacturer. Furthermore, each academic year, more than 150 students benefit from the training room and work with cutting-edge automation material, just like industries use it nowadays. The programme Cisco Networking Academy in which the ETSE participates, seeks to approach the new data network technologies on their professional aspect to the students, by using advance training methods in e-learning, through tutorials, simulators and practical examples. The programme focuses in strengthening different areas, related to network design, configuration and maintenance. AKAONI STUDIO is a company dedicated to the creation of video games with great international success, with which an agreement has been signed in order to teach the subject “Video Game Development” of the Degree in Multimedia Engineering, where they contribute with their knowledge and, specially, their vision of videogame business world. Next Air Biotreat is a research project led by Carmen Gabaldón, professor at the ETSE and Director of the GI2AM research group, in which two industrial partners participate: Pure Air Solutions (The Netherlands), company dedicated to the development and commercialisation of technologies for the treatment of polluted air, and Exel Composites (Belgium), leader company in composite products for different industrial applications. This project is funded by the European Commission within the Marie Curie Industry and Academia Partnerships & Pathways (IAPP) programme. TrainonSEC is a project through which four pre-doctoral researchers will have the opportunity to obtain a join training in research between the university partner GI2AM and the industrial partner Pure Air Solutions (The Netherlands). The researchers will also undertake stays in the facilities of the other two companies that are associated to the project: Altacel Transparent (The Netherlands) and Ekwadraat (The Netherlands). This project is funded by the European Commission within the Marie Curie European Industrial Doctorate (EID). Research contracts with the company GAMADECOR S.A. The collaboration with GI2AM started in 2007 with the installation of a pilot plant for the treatment of volatile organic compounds emissions by means of a bio-filters and the scientific and technical tracking by the researchers of the group. Nowadays, researchers of GI2AM carry out the optimisation of an industrial unit of bio-filters installed by Pure Air Solutions. The company closely cooperates with GI2AM, since 2005, in the development of technological solutions for the control of emissions of volatile organic compounds based on biological processes. This collaboration is expressed through several scientific and technical collaboration contracts. Currently, this company is one of the industrial partners of the European projects in which GI2AM is involved: Next Air Biotreat and TrainonSEC. Specific Collaboration Agreement among UPV, UV and EPSAR for the training of the students of the Master’s degree in Environmental Engineering.